Earlier this week, the Democratic Alliance announced thatÂ President Jacob Zuma had asked for an extension to file court papers opposing a DA application to review a decision to drop the corruption charges against him. This postponement comes after the National Prosecuting Authority (NPA) was ordered to hand over the spy tapes that apparently exonerate the president from corruption charges. 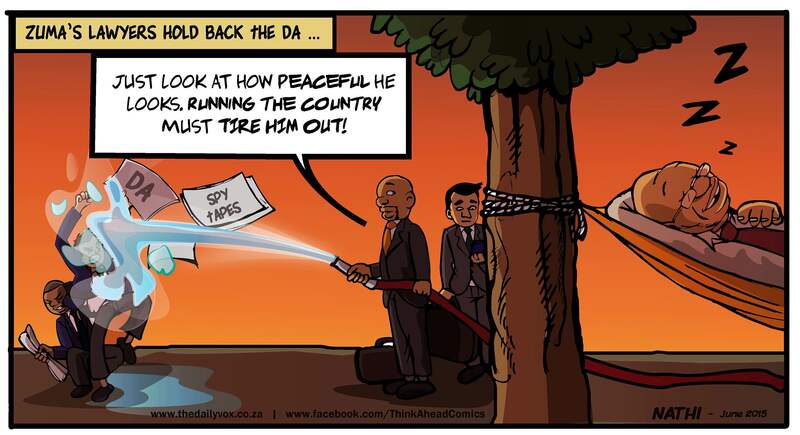 The DA though, is hell bent on getting those charges re-instated. Â But while the presidentâ€™s lawyers appear to be shielding him from the courts for now, how long before the law does catch up with JZ?